Cognos TM1 users - there is now Agni®! Agni was developed to improve your user experience in Cognos TM1. Agni reduces the effort it takes to carry out tasks (e.g. 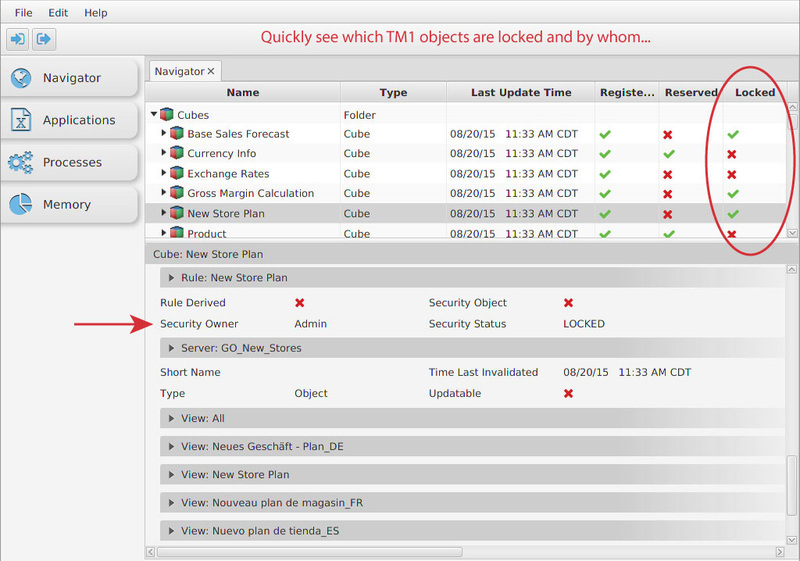 administering security) essential for successfully managing a Cognos TM1 environment. We have both free and premium versions of Agni. Security in TM1 along with documenting it is quite complex. 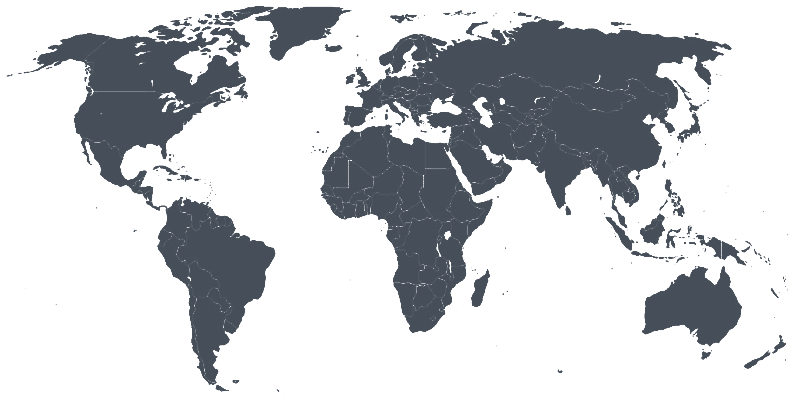 To access the security of one cell, you are forced to search in several different places in TM1. There is no easy way to analyze the impact a security change could have on your environment. To find out the impact of a change, you must apply the rules of TM1 by hand to work out manually, or create a test environment to manually log into numerous user accounts and access data to ensure nothing unexpected has happened. And good luck if you accidentally forget to test something! Additionally, you can visualize the results of a proposed security change to see if it impacts any clients or groups. If you want to implement a new security requirement from the sandbox, a process can be created on your server for you to run and make the proposed changes. Maybe a database address has changed. Agni helps you find all of the processes that pull from a certain data source so you can update the connection info. Working on a license compliance audit? Agni finds any clients who are not a member of any group to simplify your efforts on the audit. 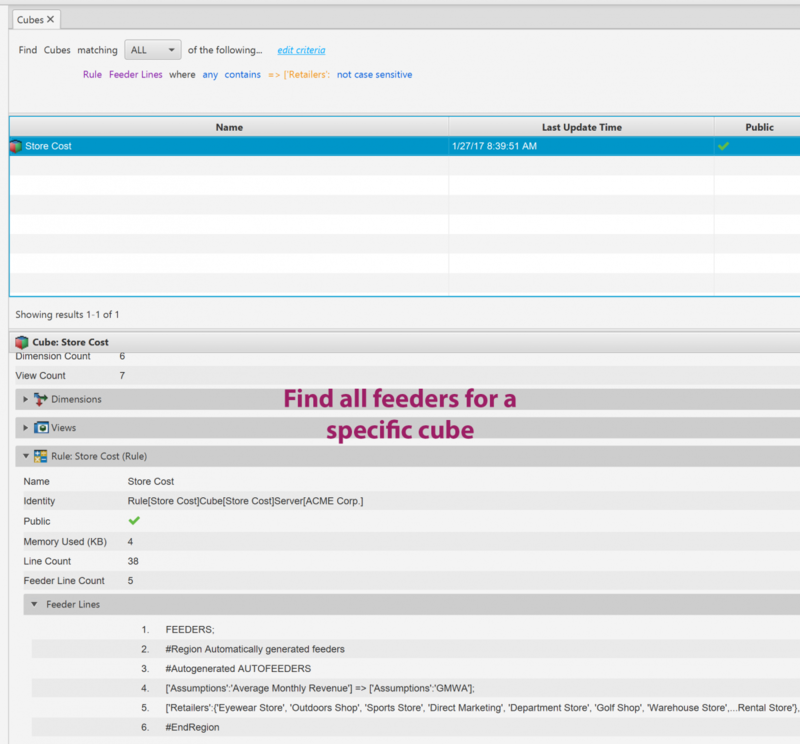 Find missing feeders- Agni can search across all rules for a reference to a cube. 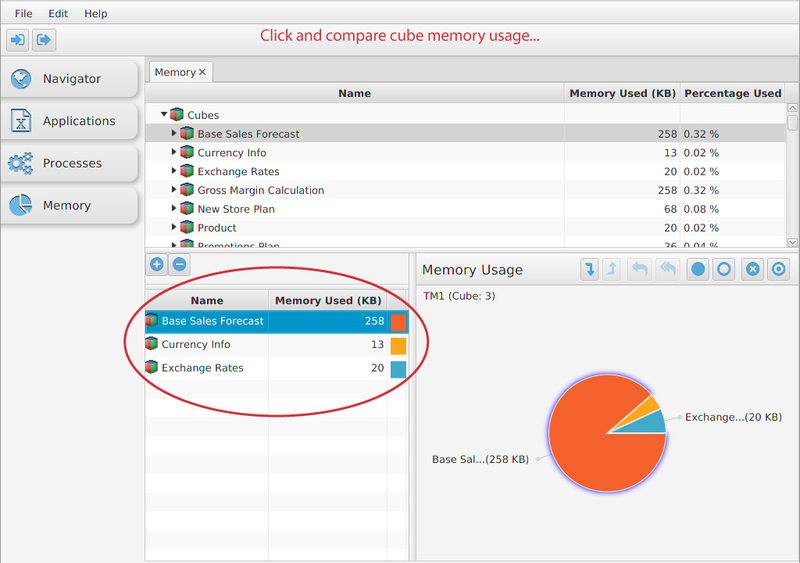 Monitoring the memory usage of TM1 objects and ensuring that TM1 implementations are running optimally is one of the biggest priorities of Cognos TM1 administrators. Agni offers an easier and visually appealing way to track memory consumption through interactive pie charts. Does using Architect prove more troublesome than it's worth? Have you given up on Architect altogether because of how painful it is to use? We have a solution. The "Navigator" panel in Agni gets you to the information you need without the overhead involved in logging into the server and slowly loading Architect. 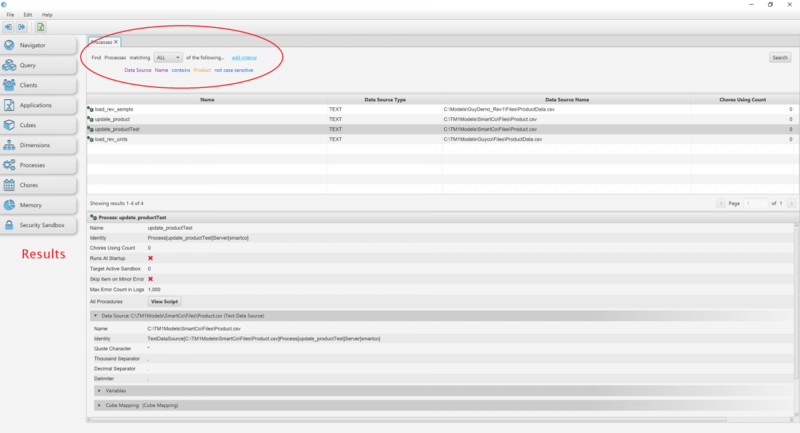 Additionally, Navigator lets you dive deeper to see information not even shown in Architect. Agni eliminates having to search for properties that are fragmented across multiple screens and user interfaces in TM1 by unifying what you need to see, all in one view. You can focus on the TM1 task at hand instead of being frustrated by a poor user experience. The "Applications" and "Processes" panels in Agni were developed to aid administrators in searching and retrieving necessary information associated with TM1 applications and processes. Agni vastly improves the organization of properties associated with TM1 applications and processes, allowing you to quickly find the information you need. In Cognos TM1, TI processes can rapidly accumulate which makes managing them difficult. 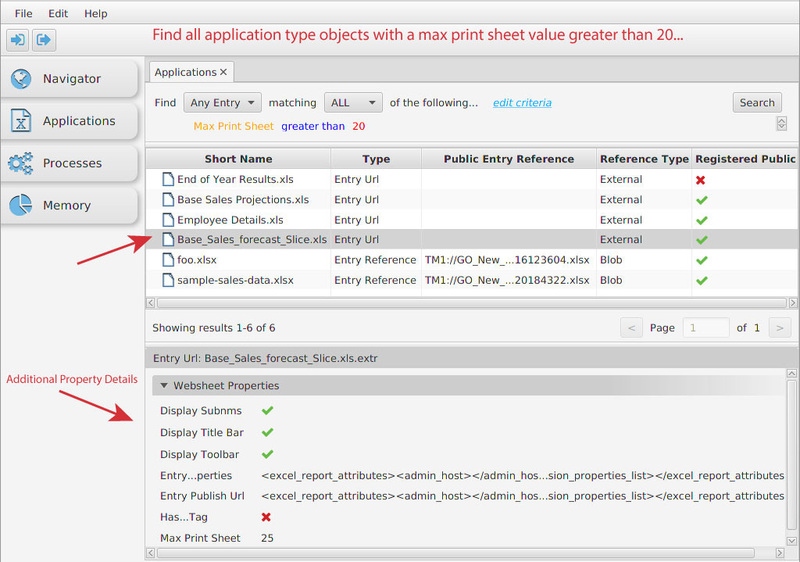 In TM1, there is no designated “Search” button, so to find all the processes that use a particular data source, traditionally you would manually open each process. Alternatively, Agni delivers search results in one consolidated view, and lets you even further refine the search by filtering additional criteria. Because TM1 does not have a built in search function, finding a particular web sheet or certain properties on application type objects can be quite difficult. Agni provides searching capabilities that quickly locate application objects.